Republican Congressman Walter B Jones, known for changing the name of French fries into government cafeterias in French fries, has died. Mr. Jones was an avid follower of the 2003 invasion of Iraq, urging the name change in protest against France's opposition to the war. Later, however, he changed his heart and became one of the loudest critics of the war in his party. 0th. for his 76th birthday. Mr. Jones represented his district for 34 years, first in the legislature of North Carolina, then in Congress. At the time of his death he was cared for in a hospice in Greenville, North, Carolina, He had broken his hip last month. His office said that his health deteriorated after his fall on January 14th. 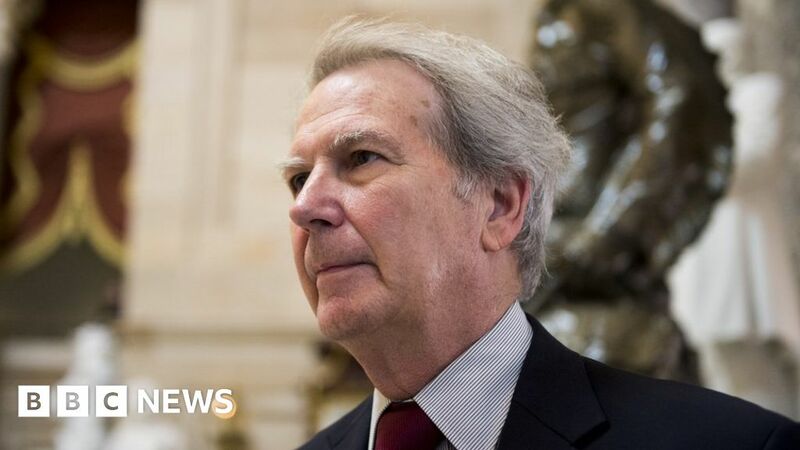 "Congressman Jones will be remembered for a long time because of his honesty, faith, and integrity," a statement in his office said. "He was never afraid to adopt a fundamental attitude, he was known for his independence and was admired throughout the political spectrum, some of whom might disagree with him, but all realized he was doing what he thought was right. " Like most Republicans – and a number of Democrats – Mr. Jones supported President George W. Bush's resolution to use military force in Iraq to topple his leader Saddam Hussein. Mr. Bush justified the invasion by asserting that Saddam Hussein had developed and hidden weapons of mass destruction. France, which threatened to veto the United Nations resolution authorizing US-led military action, was the loudest in its opposition to the war. In response, Mr. Jones and his Republican Robert W Ney urged cafeterias in the House of Representatives to rename their French fries and French toast "Freedom Fries" and "Freedom Toast". All french fries in the cafeterias of the house have been renamed "Freedom Pommes". The two congressmen were successful and the new names were equally praised. No weapons of mass destruction were found in Iraq, and it later became known that the war was justified by misinformation. At the same time, Mr. Jones met grieving families whose relatives were killed in the war. This led to a dramatic change of heart, and in 2005 he demanded to bring the troops home. He repeatedly commented on how much he regretted supporting the war, which more than killed 140,000 Iraqis and Americans. "I have signed over 12,000 letters to families and extended families who have loved wars in Iraq and Afghanistan," he told NPR in 2017. "That was for me to ask God to forgive me my mistake."